Prior to the recent tax law changes, taxpayers were allowed to deduct qualifying mortgage interest on loans up to $1 million, plus the interest on an additional $100,000 in home equity debt. The new tax law clearly limits the mortgage interest deduction to $750,000 worth of debt; however, treatment of home equity loan debt was more ambiguous. Many read the new law as eliminating the interest deduction altogether on home equity loans and lines of credit. Other tax professionals argue that the use of the loan proceeds is what matters. The confusion stems from language in the new tax law that erased the deduction for home equity debt interest between tax years 2018 and 2026, unless they use the debt to buy, build or improve the home. The debt also must be collateralized by the underlying home. In response to the ambiguity, the Internal Revenue Service recently issued guidance on how to handle deducting interest paid on home equity debt under the new tax law. 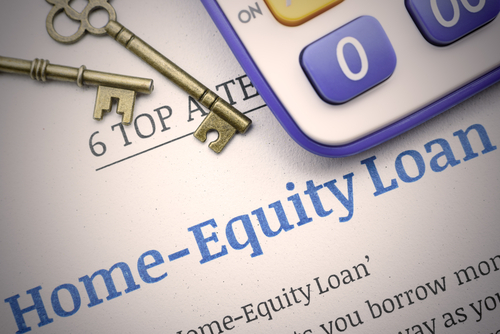 The IRS clarifies that taxpayers can still deduct interest on home equity loans, lines of credit or second mortgages, regardless of the technical loan label or name, and that it is the use of the loan proceeds that matters. All of this is subject to the new $750,000 (married filing jointly) debt limit on the total amount of all loans. To help further clarify, let’s take a look at a few examples of the IRS guidance in action. Example 1: On Feb. 3, 2019, Zach and Linda get a mortgage for $600,000 to purchase their primary residence with a value of $850,000. In March of the same year, the taxpayers obtain a home equity loan for $150,000 to add on to the house. The primary residence secures both loans and the combined total of the loans is $750,000, so it neither exceeds the $750,000 mortgage loan limit nor does the cost of the home exceed the debt, so all interest paid on both loans is deductible. Example 2: On March 14, 2020, John and Marcy take out a mortgage of $400,000 to buy a primary residence (loan secured by the property). In June of the same year, they buy a cabin in the woods as a vacation home and take out a loan for $200,000 to acquire it (loan is secured by the cabin). Since the total of the two mortgages is $500,000 (below $750,000) and secured by the individual properties, all related interest is deductible. Note that if the $200,000 used to buy the cabin was taken as a home equity loan or line of credit against their main residence, then the interest paid on the $200,000 would NOT be deductible since it was not used to improve or add-on to the same property. Example 3: On July 7, 2018, Bob and Stacy get a mortgage for $550,000 to acquire a house as their primary residence (loan is secured by the home). Later in October, they take out another $400,000 loan to buy a lake house as a vacation property (loan is secured by the lake house). Despite the loans being secured by the individual properties, not all of the interest is deductible because the total of the two mortgages at $950,000, exceeding the $750,000 limit. Instead, only a percentage of the total interested paid is deductible. As you can see, generally interest on home equity loans, lines of credit and refinances are still deductible as long as you reinvest in or add on to a qualified residence (within the debt limits). If you use one of these types of loans for something unrelated, such as paying credit card debt, taking a vacation or putting your kids through college, it’s not deductible – no matter what you call the loan. Business clients have very different accounting requirements than individuals. While tax planning is important, business owners need accurate and timely information to manage their businesses. Our role is imperative and informative. Cantwell, Cummins, Moffatt & Stuart, P.C. is focused on increasing the success of our business clients.